Alaska might be the biggest state, but it sometimes has the smallest-town feel. I first met Kelley around 2002 when she was my lab partner in geology at the university. Marcus I must have met around 2005 in the downtown Anchorage scene. We’ve always exchanged friendly hellos whenever we see each other. It brought me joy when I discovered they had found each other. They were having a very small ceremony and Kelley just wanted a crown and a bouquet. I absolutely love how this bouquet turned out. 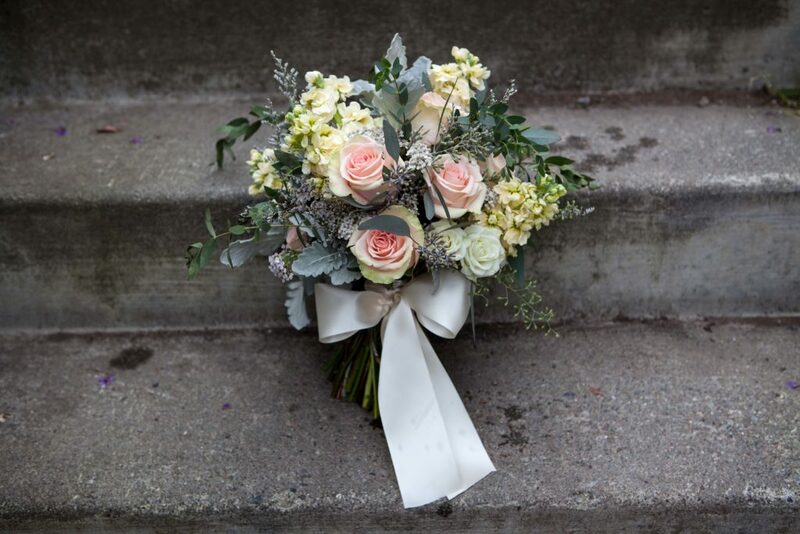 Blush Amelie roses and butter colored stock were the main event in this bouquet. 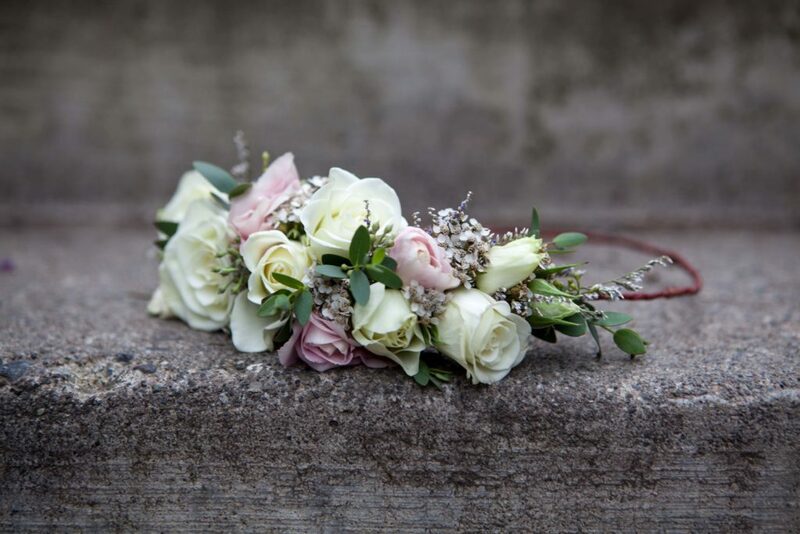 The fuzzy dusty miller and delicate spray roses softened the look even further. This was one of my favorites all summer. I tucked in wild yarrow to the flower crown for that little touch of Alaska.